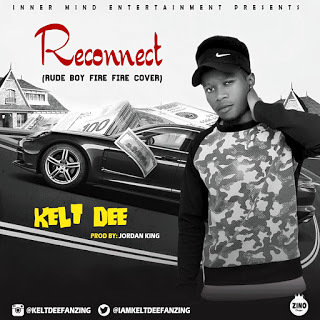 ￼it will shock you when you listen to this super sonic tune from the legendary Rapper/Singer kelt dee who was born and breed in jos plateau state. The song is a cover and from all indication it seems like justice has been done on this sound from the meaningful of the lyrics,the attacking and to the deliverance.Reconnect is one hit among the 15tracks coming in kelt dee made it Album that was produced by a famous producer @JORDAN KING If you don't have kelt dee on your show list then I guess the show is incomplete lol. Go grab a copy, share this copy until the whole world start to copy. For shows bookings and enquiries contact-08132223848.